Enjoy fabulous views at Mill Stream Subdivision with 100 acres of conservation land. Open concept 4 Bedrooms, 2.5 baths with the best of everything. 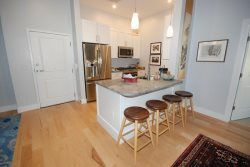 Enjoy Hardwood floors, gourmet kitchen, Viking stove, stainless appliances, and granite counters. Walking trails and great yard offer lots of outdoor living activities. May be rented furnished at additional monthly cost.